Apple iPhone 5S Smartphone is considering to be the one of the powerful smartphone introduced from Apple after iPhone 5 and it’s also officially replacing the old iPhone 5 with the power of most advanced mobile operating system of iOS 7 Firmware. The Apple iPhone 5S Specifications and Features is much impressive because its powered by A7 chip with 64-bit architecture and M7 motion coprocessor with large display screen and promising hardware and software tech specs. 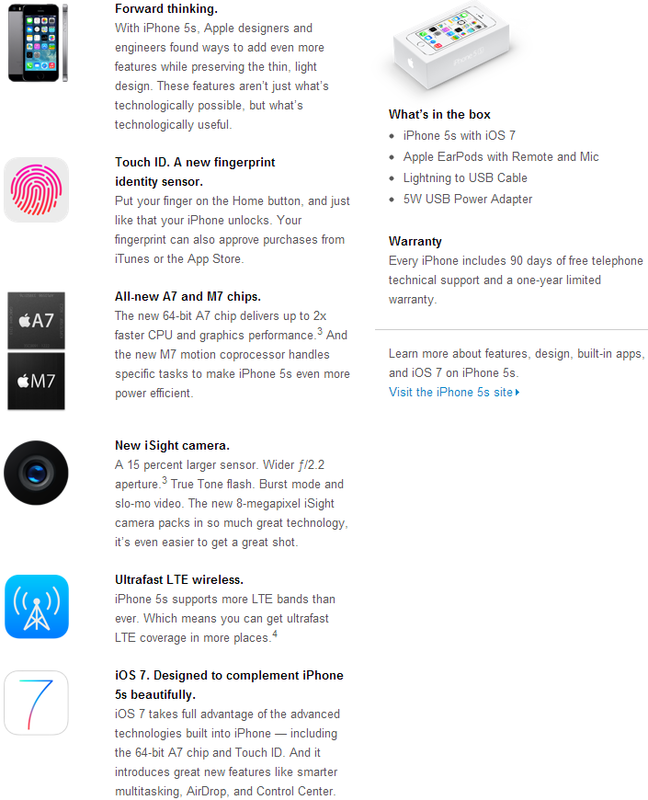 You can read and find Apple iPhone 5S Specifications, Features, Availability, Price and Review Details in our below Infographic. 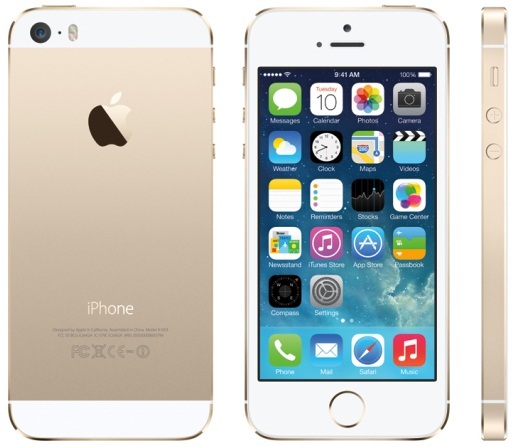 Apple iPhone 5S is available in three different elegant colors i.e. Space Gray, Gold and Silver with the storage capacity of 16GB, 32GB and 64GB. 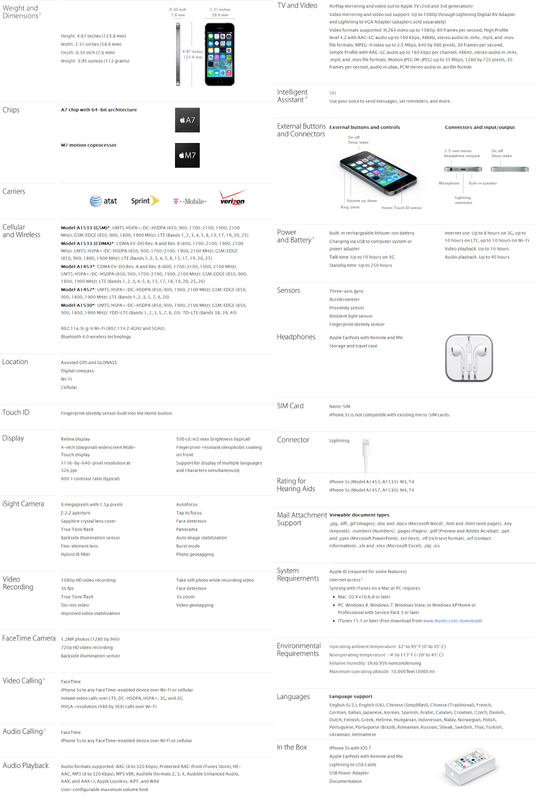 Find full specs and features of iPhone 5S in our official Infographic below. Apple will begins to get pre-orders for iPhone 5S from September 20th at 12:01am Pacific Time for 100+ countries worldwide. The official price of Apple iPhone 5S will be $199 for 16GB, $299 for 32GB and $399 for 64GB on a two-year contract basis with AT&T, Sprint or Verizon. To Get Unlocked and Contract-Free iPhone 5S you have to pay $649 for 16GB, $749 for 32GB and $849 for 64GB storage capacity.